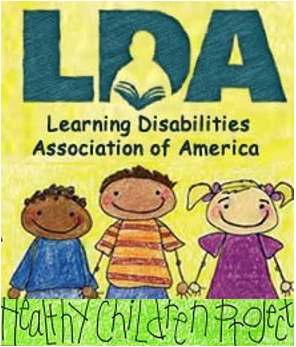 The first Roper Poll on learning disabilities was conducted in 1995. Respondents are a national sample of American adults with sub-samples of parents, teachers, and school administrators. This poll seemed to indicate that both the general public and educators have some serious misperceptions about learning disabilities, including linking SLD with intellectual disabilities and autism. Educators responded they feel prepared to teach students with learning disabilities, which appears somewhat disconnected from their misperceptions on the linkages to SLD. At the roll-out of the poll on Capitol Hill, Jim Wendorf, Executive Director of the National Center for Learning Disabilities, suggested some policy implications from the poll results. He noted that SLD cannot be the default category for students with problems. He also suggested that it might be time to better clarify the IDEA definition of SLD. Finally, he mentioned the need for continued high expectations for students with learning disabilities with the goal of earning a regular high school diploma. Read a summary or the full polling results. The U.S. Department of Education has awarded grants totaling $330 million to two consortia of states for the development of assessments aligned to the Common Core State Standards. The goal is to have two new assessment systems testing mathematics and English/language arts available to states for the 2014-15 school year. The winning consortia are the SMARTER Balanced Assessment (SMARTER coalition) and the Partnership for Assessment of Readiness for College and Careers (PARCC). Eight states are in neither consortium at this time. Two other consortia are working on alternate assessments for students with significant cognitive disabilities. PARCC and the SMARTER Coalition are approaching the task in different ways. The PARCC coalition, with 26 state participants, is developing through-course assessments and more comprehensive end of year assessments. Scores on tests given through the year will be averaged into one score for accountability purposes, also providing teachers and students more instructional feedback. The coalition anticipates student data will be used also as part of the teacher evaluation system. The 31 state participants in the SMARTER Coalition will focus on development of computer adaptive assessments given within twelve weeks of the end of the instructional year for accountability purposes and several interim tests during the course of the year. Computer adaptive technology tailors the test to the student based on responses to previous questions. This approach may be the more politically difficult, as all students are not tested on the exact same set of questions. Other potential issues revolve around how to integrate the technology into the classroom and the varying amounts of time required for states to transition to a computer adaptive system. The Department also has awarded grants for the development of alternate assessments for students with significant cognitive disabilities. 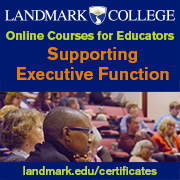 Recipients are the National Center and State Collaborative Partnership led by the University of Minnesota, and the Dynamic Learning Maps Alternate Assessment System Consortium led by the University of Kansas. Again, the focus is on math and English/language arts. The resulting assessments are expected to align with the tests developed by PARCC and the SMARTER coalition and will be ready for the 2014-15 school year. The Skills for America-NOW! coalition has released a concept paper examining what tools are necessary to effectively “re-skill” American workers to support and revive the economy. Three key areas are cited: (1) developing a fund to support the most effective evidence-based strategies to immediately retrain workers for existing jobs and careers; (2) establishing a payroll tax credit for employers for training activities; and (3) strengthening the federal government’s infrastructure for workforce development and training and human capital needs. 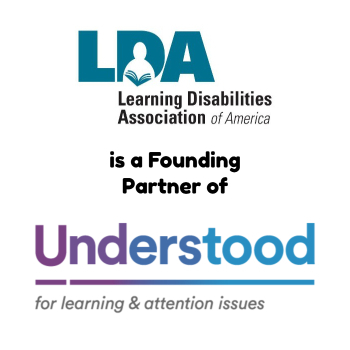 LDA works with one of the coalition members, the Association for Career and Technical Education, to ensure the needs of youth and adults with specific learning disabilities are considered in these discussions. Dr. Nicole Smith, a senior economist at the Georgetown University Center on Education and the Workforce, stated at the Capitol Hill release of the concept paper that it is irresponsible for economists to say students don’t need more education. She clarified that “education” means postsecondary education, as well as licenses and credentials with value, providing at least a middle class wage. Dr. Smith noted the high correlation between postsecondary education and middle class status: Today 61% of middle class Americans have a postsecondary education, whereas in 1970 only 26% had the same. LDA Policy Director Myrna Mandlawitz raised the issue at the Hill briefing of the poor employment outlook for some individuals with specific learning disabilities if they are not afforded the appropriate education and job supports. A new report from the Center on Education and Workforce Ã¢â‚¬“ Help Wanted: Projections of Jobs and Education Requirements Through 2018 Ã¢â‚¬“ is available here. As expected (See August News in Brief), Congress passed a continuing resolution (CR) before leaving town at the end of September. A continuing resolution allows government agencies to operate until Congress passes the 12 appropriations, or spending, bills. The CR extends funding for most programs at the Fiscal Year 2010 (FY10) levels through December 3, 2010. Mandatory programs, such as Medicaid, Social Security and child nutrition, were also covered. This was particularly important since the child nutrition programs would have expired on September 30 without congressional action. The next question is when Congress will take up the normal appropriations bills. Congress is expected to return on November 15, but the results of the congressional election will most likely dictate what bills are considered. The Senate will be in session the week of November 15, in recess the week of November 22, and will return the week of November 29. The House also will return on November 15 and recess the week of November 22. During the lame duck session, Congress either will have to pass another CR or an omnibus appropriations bill that will roll several or all the 12 appropriations bills into one package.